It has been a busy week here on Tattooed Tealady for Organic Beauty Week, but I've loved sharing some of my favourite organic skincare, organic makeup and a luxurious organic manicure try me set with you all. Tonight it's the turn of organic body care to take the limelight, and I have 7 from 4 favourite organic brands to share with you all! Organic Surge have featured a lot during Organic Beauty Week, and I love recommending their products because not only do they have fantastic organic products with skin-loving ingredients, but they are so budget-friendly! Their body care range is delicious, with a huge variety of sensuous scents that refresh, invigorate and renew. I've tried quite a few scents over the couple of years that I've been using Organic Surge, and a few favourites are the Moisturising Tropical Bergamot Shower Gel* (250ml, £4.75), the Awakening Super Fresh Body Wash* (250ml, £5.99) and the Nourishing Fresh Ocean Shower Gel (250ml, £4.75). Suitable for vegans and vegetarians, Organic Surge body washes are free from nasty unwanted chemicals such as parabens, Sodium Lauryl Sulphate, artificial fragrances and colourants, and no genetically modified ingredients! All Organic Surge products are cruelty free, smell amazing, last ages and leave my skin feeling happy. They also have a cheeky sale on right now, so be sure to check it out here! As well as being fresh, clean and smelling lovely, I love to pamper with a good body scrub, leaving my skin nice and smooth! 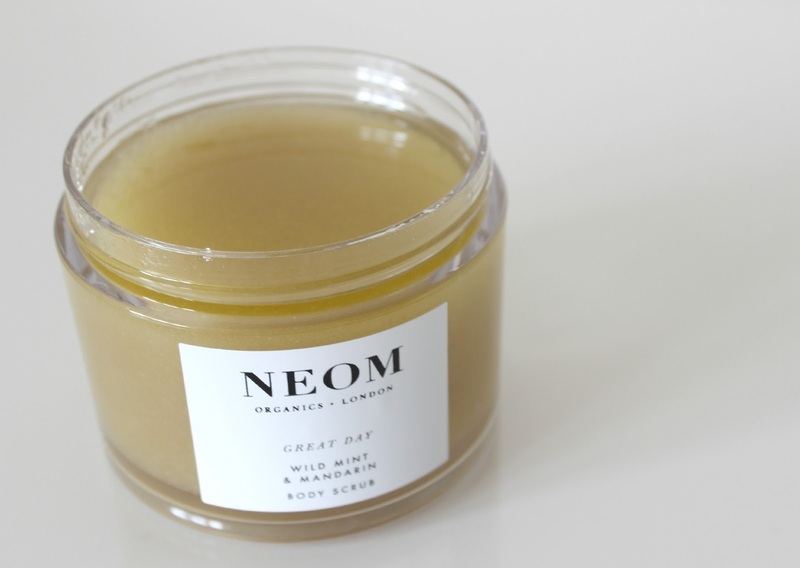 The NEOM Luxury Organic Great Day Body Scrub* (332g, £34) is an incredibly refreshing scrub with an invigorating blend of Spearmint, Lemon, Mandarin Peel and Orange. It's the perfect scrub for awakening my senses in the morning, and has been my scrub of choice for morning baths over the past few weeks, With 94% certified organic ingredients, it contains beautiful Pure Essential Oils which work nourish skin, whilst revealing softer, smoother skin. Best thing? The beautiful scent lingers all day long, keeping my mind as refreshed as my skin. 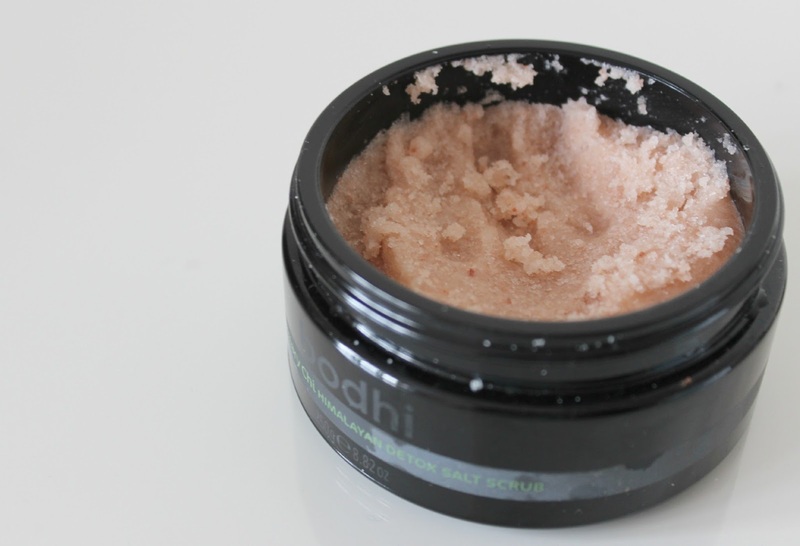 Another scrub which I absolutely adore and is reserved for those very special pampering occasions, is the Bodhi & Birch Rosemary Chi Himalayan Detox Salt Scrub (250g, £35) which I like to refer to as the Goddess of body scrubs. I'm on my second pot now, and it's genuinely a product I would never wish to be without. One of the most luxurious products I've ever tried, it boosts an incredible blend of ingredients including Himalayan Salt Crystals, Rosemary Essential Oil, Geranium Essential Oil, Grape Seed Oil, Olive Squalane, Organic Shea Butter and Apricot Kernel Oil, with the most exquisite scent you will possibly ever find in a body care product. Less oily in formula than the NEOM offering, I turn to this beautiful detox salt scrub at least once a fortnight to give my skin a real almost spa-like pamper. Last but not least, how could I talk about organic body care, without including favourite brand Antipodes? Another brand who has featured in both my organic makeup and organic skincare posts for Organic Beauty Week, Antipodes have two incredibly beautifully scented hand and body creams that I am just absolutely smitten with, and would happily say are my favourite hand creams for formula, benefits to my skin - and enchanting scents! Antipodes Joyful Hand and Body Cream (120ml, £28.99) has been my favourite for a long time now, and I'm currently working my way through my third tube. It just has the most incredible, intoxicating, sensuous scent and I always say this - but I really would adore if this was made into a fragrance! Honestly, it's like heaven in a tube, with a gorgeous scent of summer berry fruits and South Pacific Hibiscus Flower. Antipodes Delight Hand and Body Cream* (120ml, £28.99) is the newest scent to join the range, and is just as gorgeous as Joyful. More sweet in scent than Joyful with a stunning scent of vintage Gardenia, it almost comforting in scent, and just as addictive. Both leave my hands feeling soft, nourished and hydrated. Beautiful. Do you have any favourite organic body care products?